It’s often said that the best ideas in home design are the ones that make the home a great place to live; the origins of modernist design had that idea at their heart. 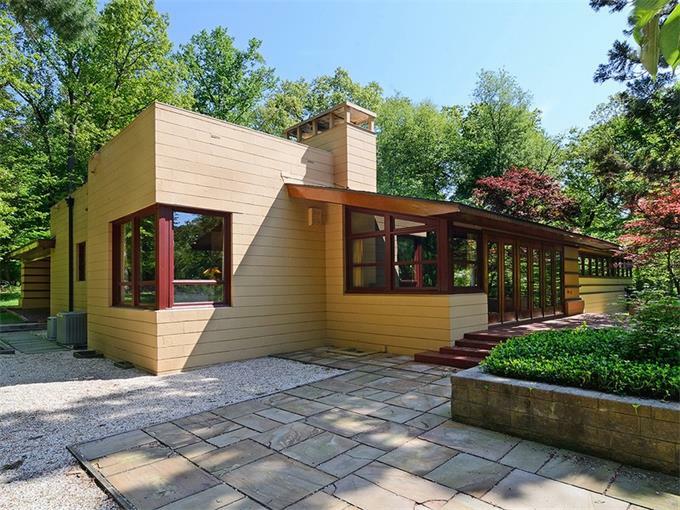 We’ve rounded up a few of the city’s mid-century architectural treasures and a handful of homes that embody modernist style. It’s no accident that the backdrop to our favorite Mad Ave. drama is so eye-catching. 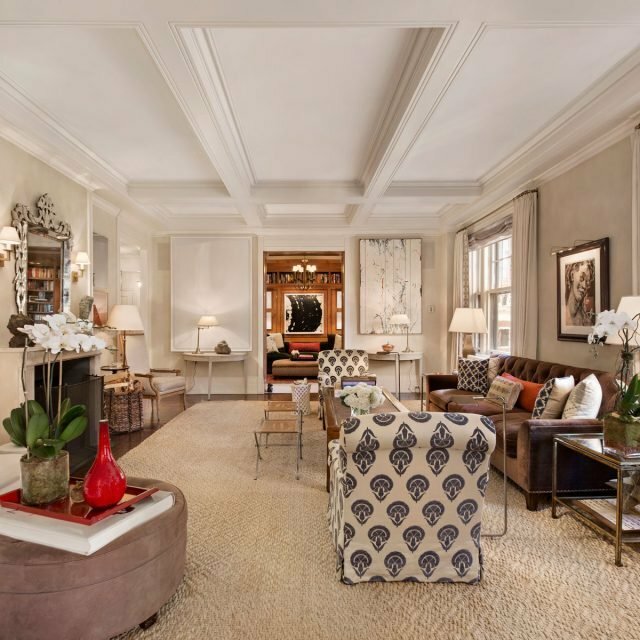 For a recent interview, Weiner gave Interior Design magazine an exclusive full-access tour of Don and Megan Draper’s Park Avenue apartment, the agency’s Time-Life Building office and more. 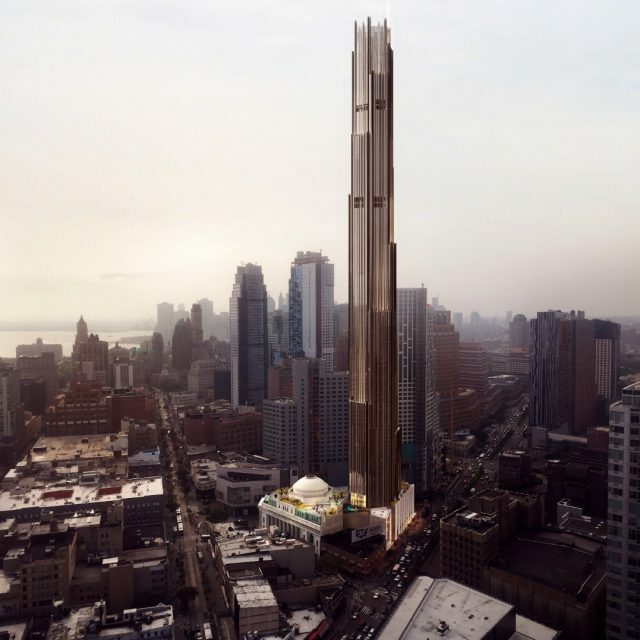 The piece reveals how the show’s creator–whose wife is an architect, giving him an insider’s design view–and his team devoted painstaking attention to every detail of environments–like the SCDP offices and various Draper residences–that needed to evolve with the story as well as the rapidly changing times. Weiner explains how “…all the sets connect. 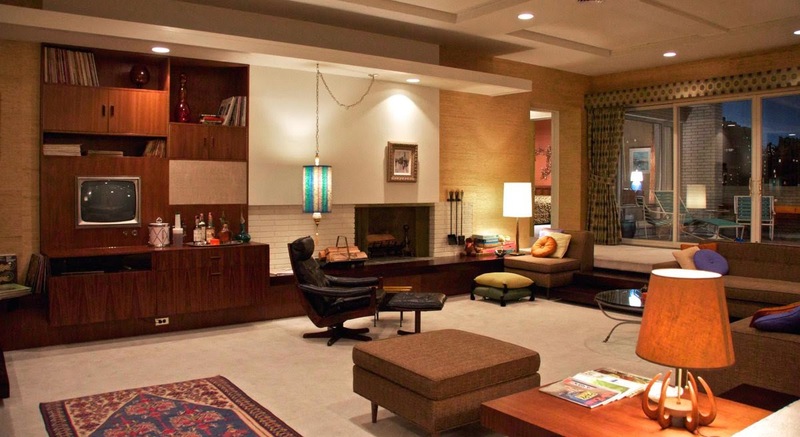 For example, the Sterling Cooper office is some version of the Drapers’ apartment, which is quintessentially mid-century Knoll, Herman Miller, Steelcase.” When asked how he makes his sets come to life with his characters, Weiner says, “In every picture of an office from 1930 on, the wires are cut off every lamp, because they look terrible. I tell the set-design team, ‘Put the wires on!’ Right away, something happens. Why is there all that ugly stuff hanging off the desks? Because that’s how it would really be. It’s just as important for me to show a character’s open desk drawer with a half roll of Life Savers, with the paper rolled back, as it is to find the perfect dining table.” So you’ll not only see great design, you’ll see great design imagined in a place where actual people live and work. Merz House at 40 Willow Place. Image courtesy of Corcoran. 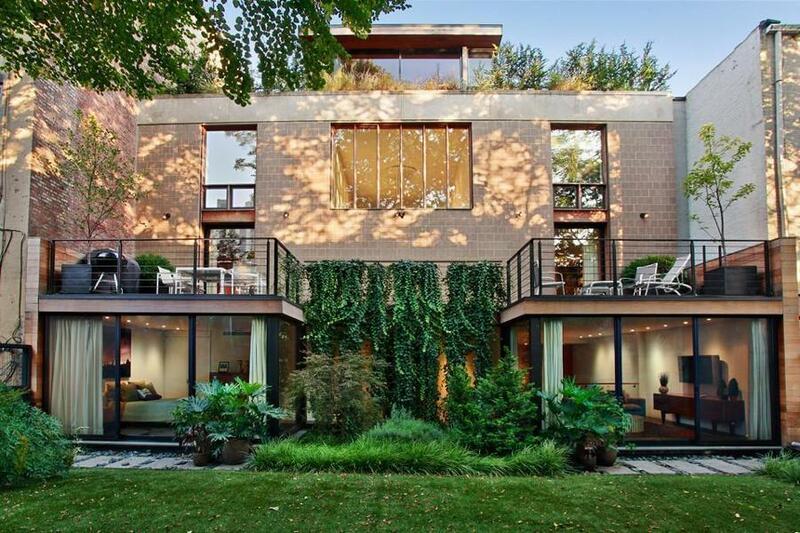 Tucked away on an almost-hidden historic street in a coveted corner of Brooklyn Heights, this impressive house at 40 Willow Place was designed and built in 1965 by beloved local architect couple Joe and Mary Merz. Two similar, smaller, houses on the same street at numbers 44 and 48 were erected by the architects, who purchased several empty lots in the same year. 40 Willow Place. Images courtesy of Corcoran. The under-the-radar but unparalleled Merz house is one of the most unusual private homes in the city and one of the most beloved by fans of modern design. 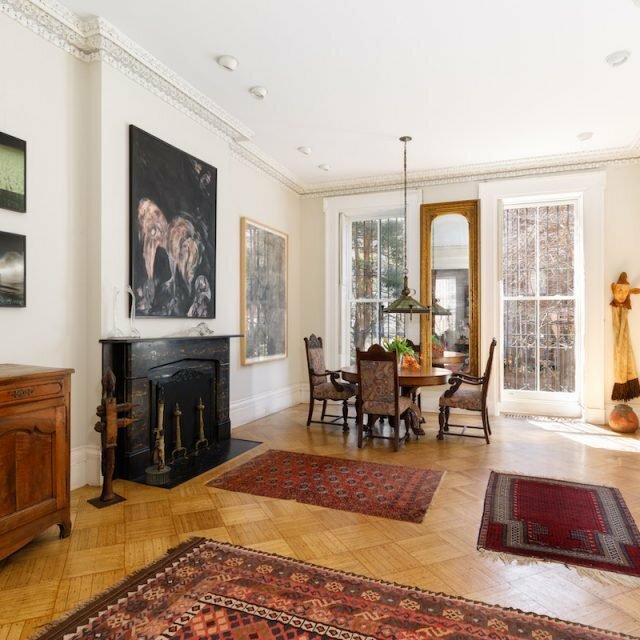 The landmarked home recently sold for $7.65 million. 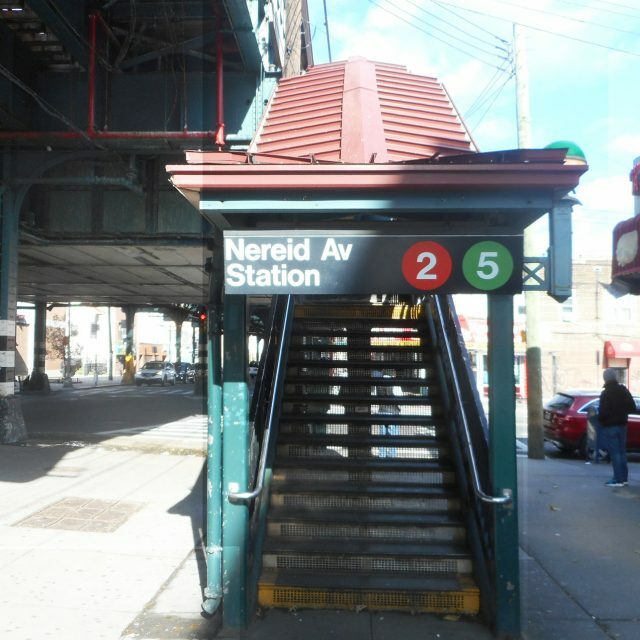 Curbed shared images of what it used to look like. Insider tip: You can stay at 48 Willow Street (still owned by its architect Joe Merz, who lives in the house and is by all accounts a great host; Mary passed away in 2011 at the age of 85.) 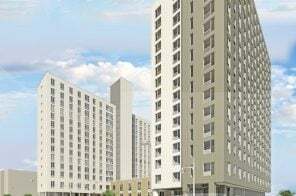 via home-sharing site Vrbo for $125 a night. 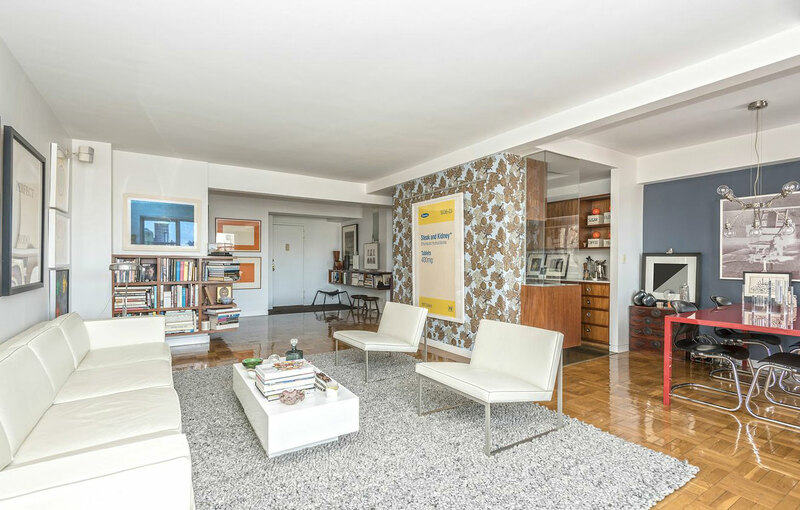 This Upper East Side townhouse at 101 East 63rd Street (via 1stdibs) in Lenox Hill is one of Manhattan’s only mid-century modern townhouses, and, like most, was controversial when built. 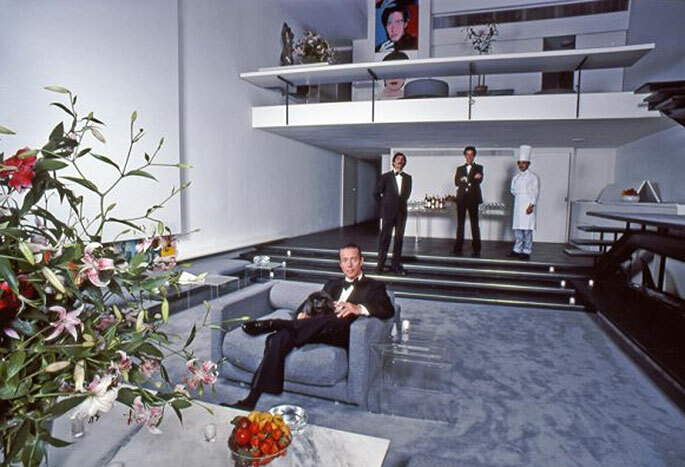 The house, designed in 1966 by architect Paul Rudolph at the site of a former carriage house, was once home to iconic ‘70s fashion designer Halston. 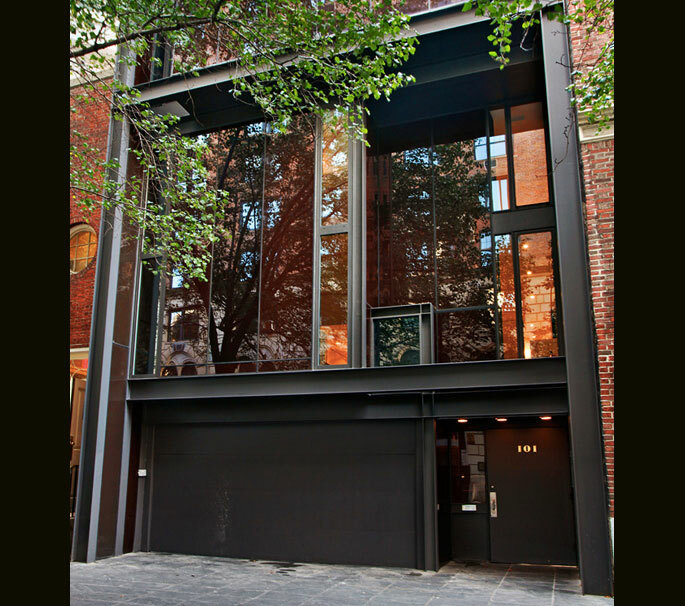 The four-story townhouse changed hands for $38.5 million in 2012. 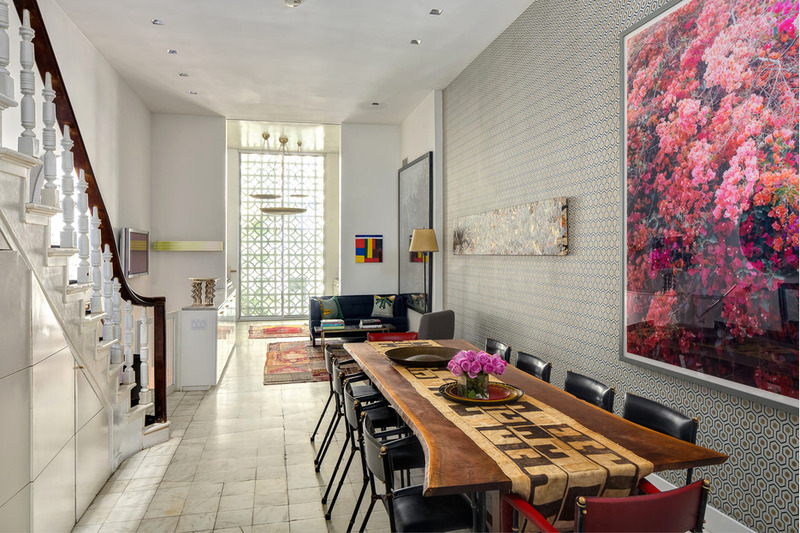 Its stunningly-renovated interiors easily rival those of any trophy tower in the city and its original design elements, especially the garden and glass walls, are unique among the neighborhood’s brick and limestone. Edward Durell Stone house at 130 East 64th Street. Image courtesy of Stribling. 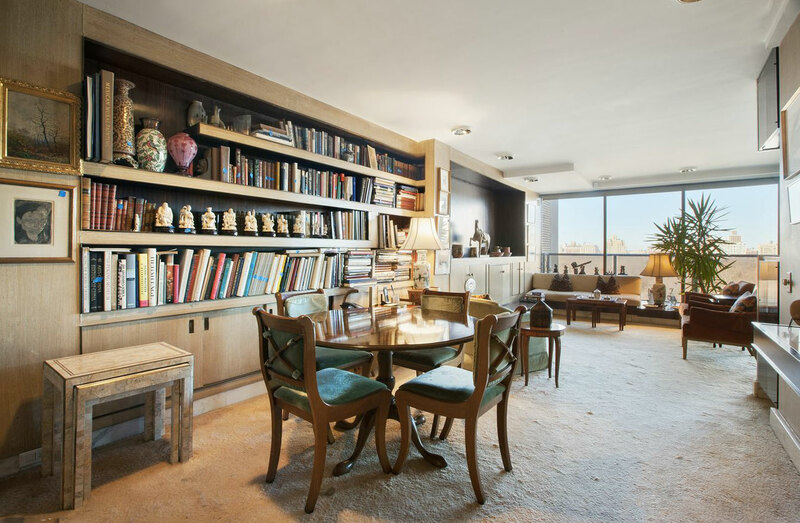 Another rare and unusual mid-century gem, the Edward Durell Stone house, also on the Upper East Side, appeared on the market last fall for just under $10 million and was reduced to $6.85 million before entering contract in February of this year. 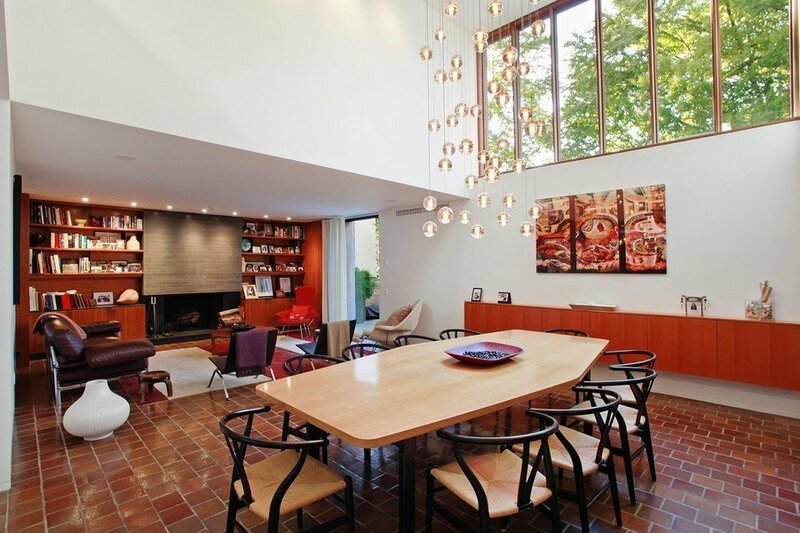 The sellers are, fittingly, Andrew Cogan, CEO of top mid-century-modern design distributor Knoll, and his wife, Lori Finkel; they purchased the house in 2007. Edward Durell Stone House at 130 East 64th Street. Images courtesy of Stribling. Built in 1868, the home received its at-the-time controversial and architecturally significant renovation–including its unique gridded facade–in 1956. The Times describes the house as standing out “like a snowflake on its tree-lined block.” You can see even more interior photos via our feature here >>. 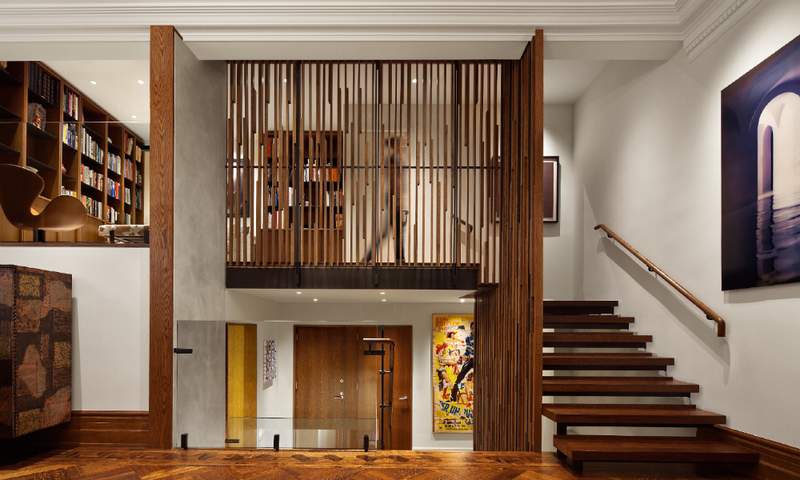 Spliced Townhouse on the Upper East Side, designed by LTL Architects. Images © Michael Moran. 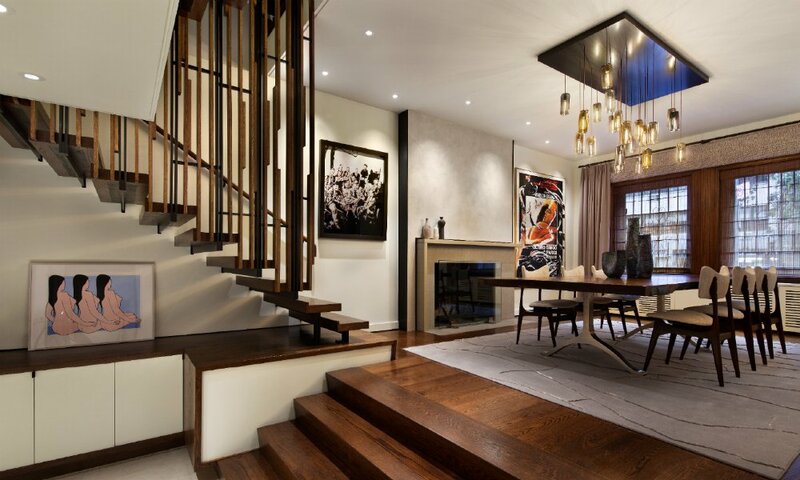 Our next Upper East Side pick, “Spliced Townhouse” is actually a 19th century townhouse. 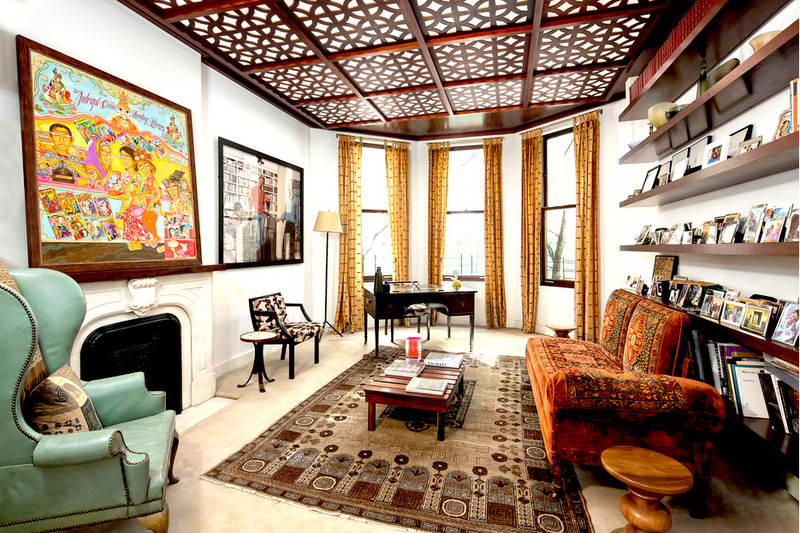 The owners of a triplex unit commissioned LTL architects to help make their home more livable. A pair of dazzling modern staircases which serve as the brilliant background for a collection of mid century furniture was the result. 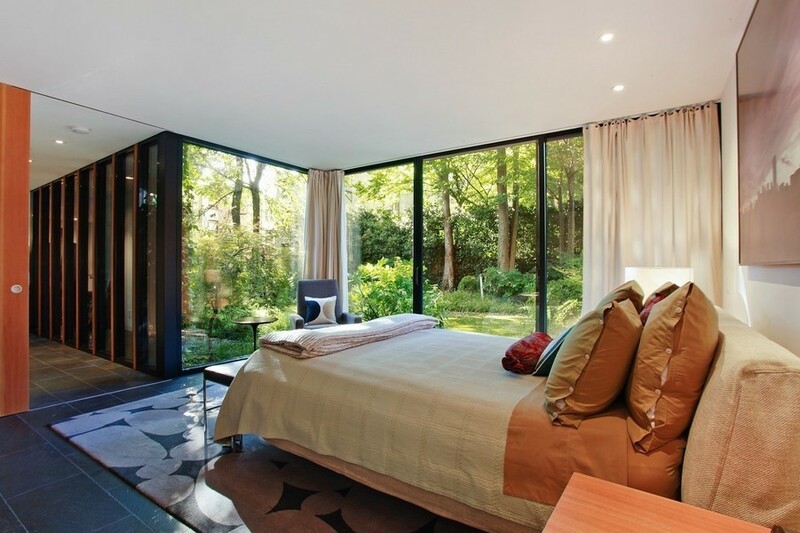 You can tour the home here >>. 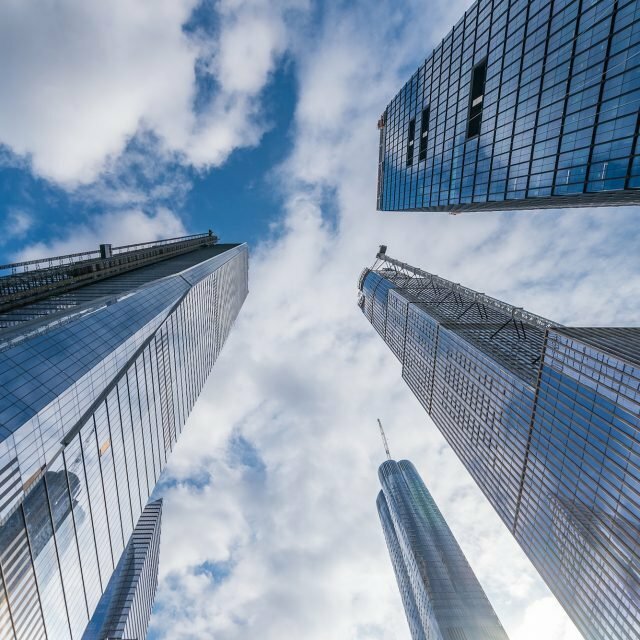 The prolific architect was the forefather of a revolutionary style of residential design that informed the airy, open floor plans seen in many modern homes today. Wright’s Prairie style took hold in the Midwest during the early 20th century and quickly spread across the country, profoundly influencing the built landscape we know today. 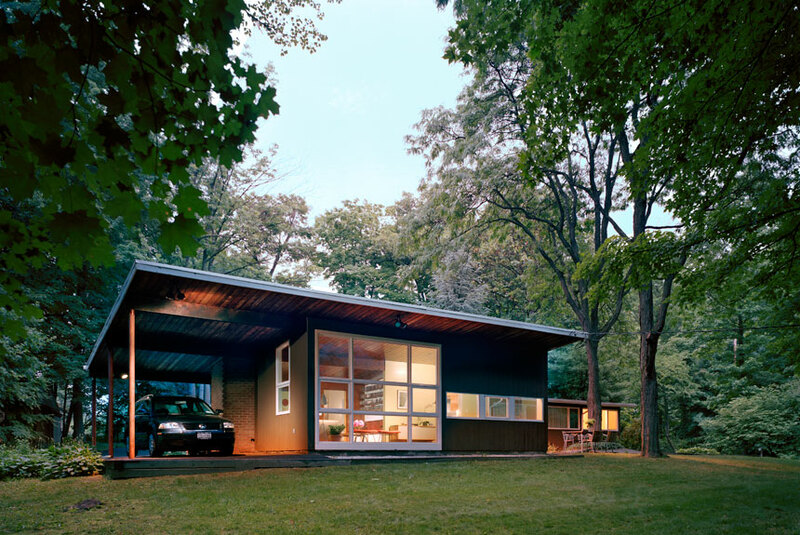 This home in Blauvelt, NY, about a half-hour from Manhattan, is one of the few prefab Prairie homes designed by the architect. Take a closer look inside here >>. The renovation of Andrew Franz’s mid-century modern glass-walled hideaway reflects Franz‘s philosophy that “design should inspire, incite compliment and celebrate our lives. 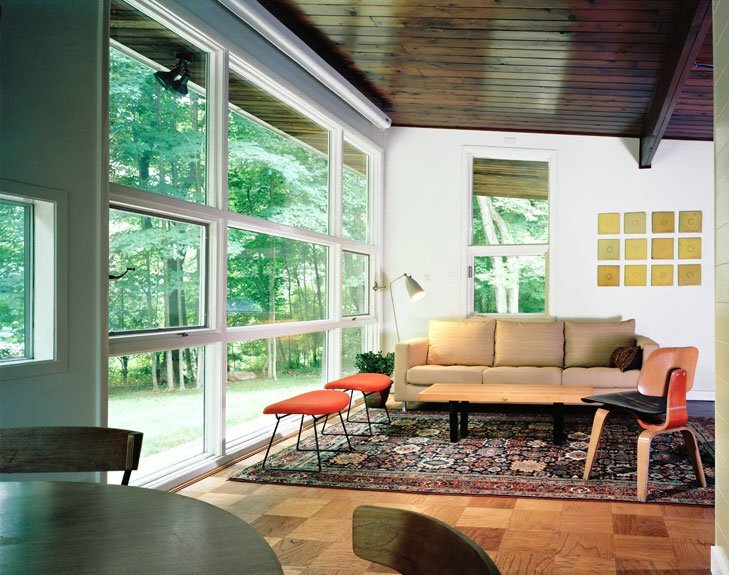 It should serve our legacies and our relationship with the environment.” The remodeling of this mid-century modern house, located upstate in Palisades, NY, involved updating the wood floors, the exterior walls and the kitchen; Andrew created a design that is modern, warm, and connected with the surrounding forest–and the clients got the perfect vacation hideaway they were wishing for. 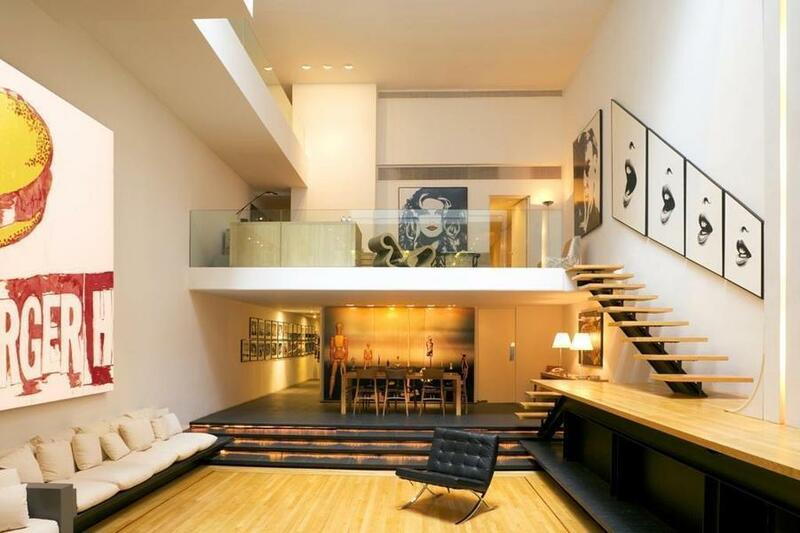 Tour the incredible interiors here >>. 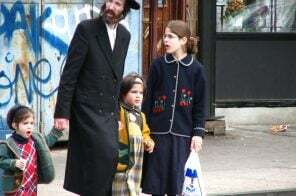 The lost Eichlers of Rockland County. 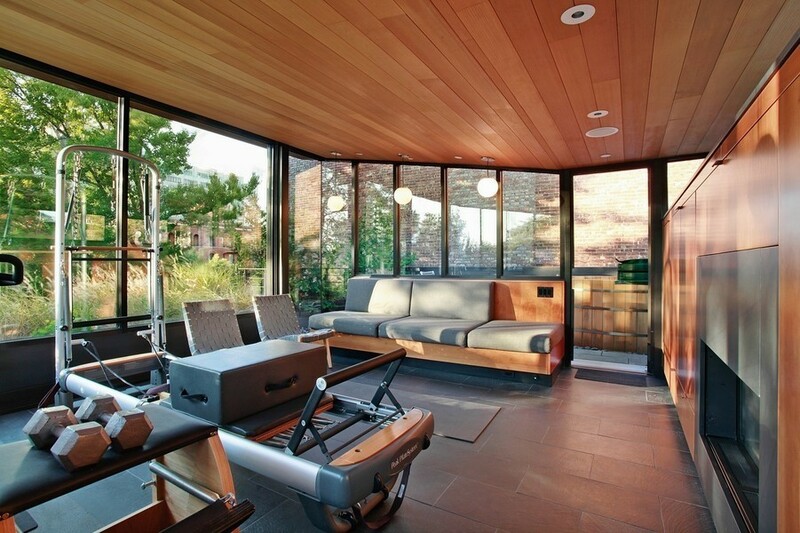 Yes, there are Eichler homes in New York! 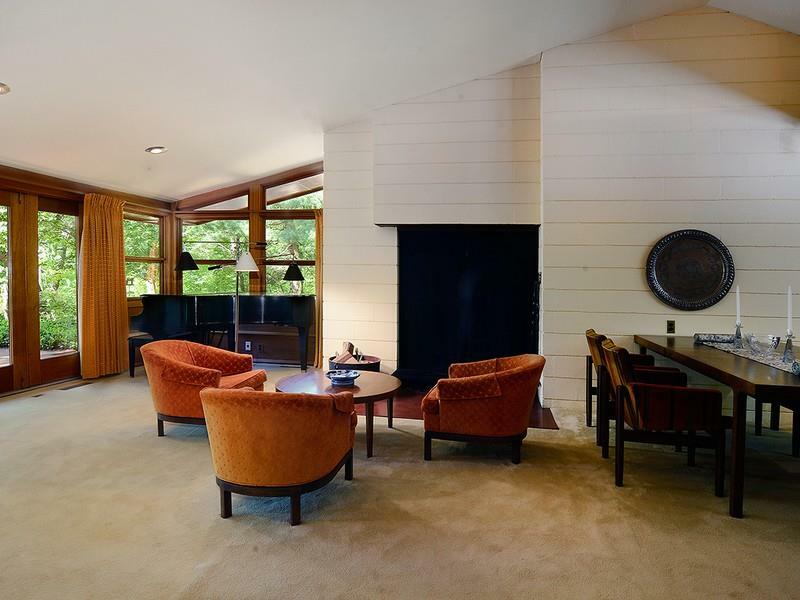 They’re sometimes called “lost Eichlers,” as most of noted mid-20th century developer Joseph Eichler’s homes exist in Northern and, to a lesser degree, Southern California. 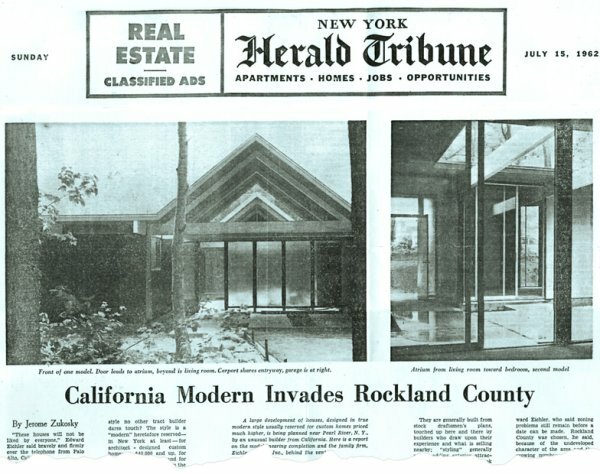 Three custom-built Eichler houses, including one double A-frame, were constructed (and still stand) in the Rockland County, NY community of Chestnut Ridge, just north of Eichler’s hometown of New York City. 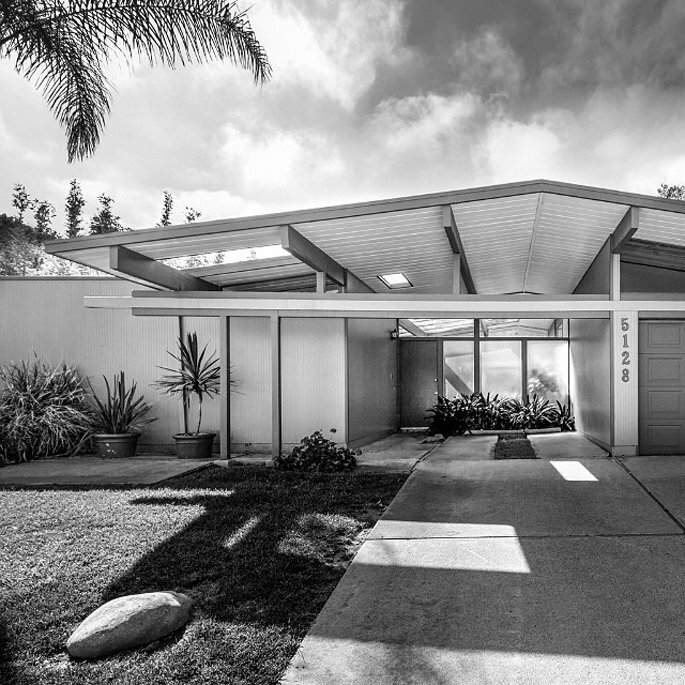 Learn more about the history of these rare Eichler homes here >>. Two-bedroom co-op at Butterfied House at 37 West 12th Street. 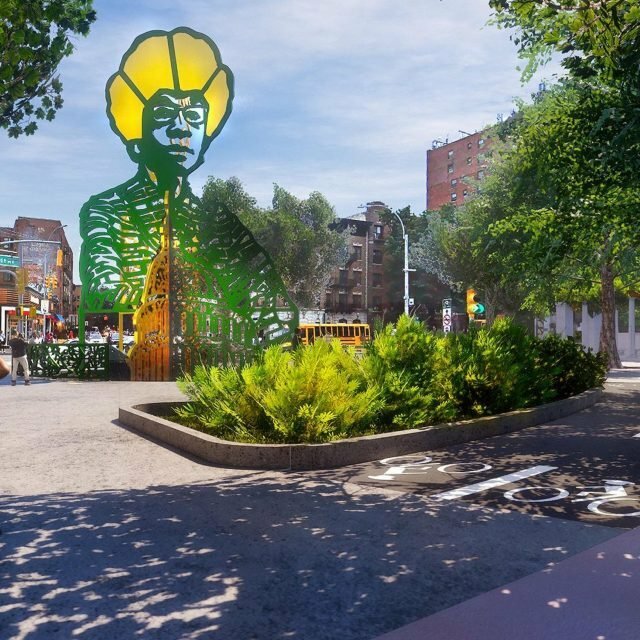 Image courtesy of Douglas Elliman. 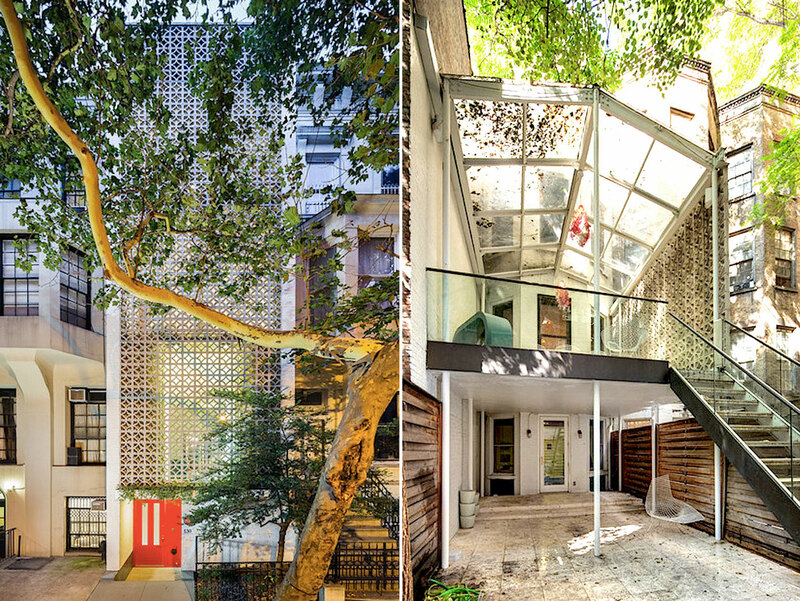 Located in a cool then-and-now Greenwich Village spot at 37 West 12th Street (Joan Holloway’s fictional apartment was just across the street at #42), Butterfield House is the real deal: Built in 1963, the co-op is considered to be one of New York City’s architecturally distinguished mid-century masterpieces. 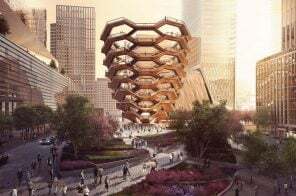 Situated on one of the neighborhood’s loveliest blocks, this modern landmark is comprised of two buildings connected by glass passageway with viewing gardens. 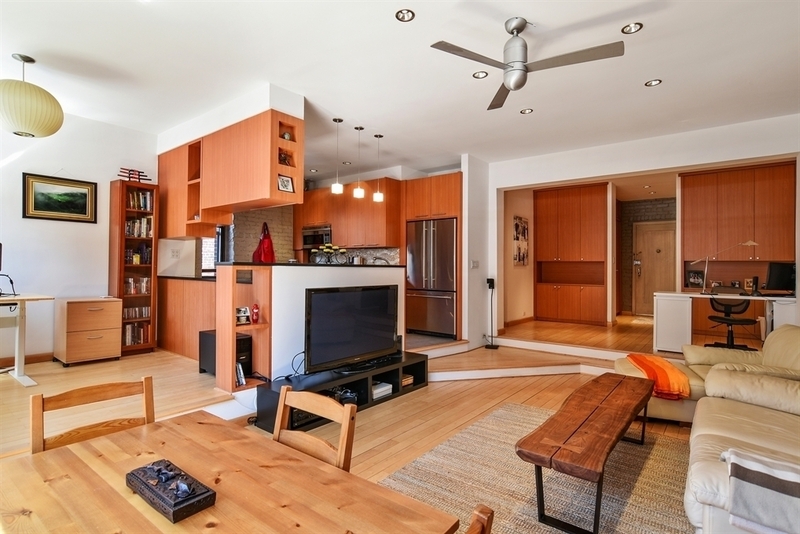 This currently-listed two-bedroom co-op might just be the perfect embodiment of the building’s aesthetic, with an enclosed terrace off the living room and a gut renovation in 2012 to add 21st century perfection to its mid-century cachet. 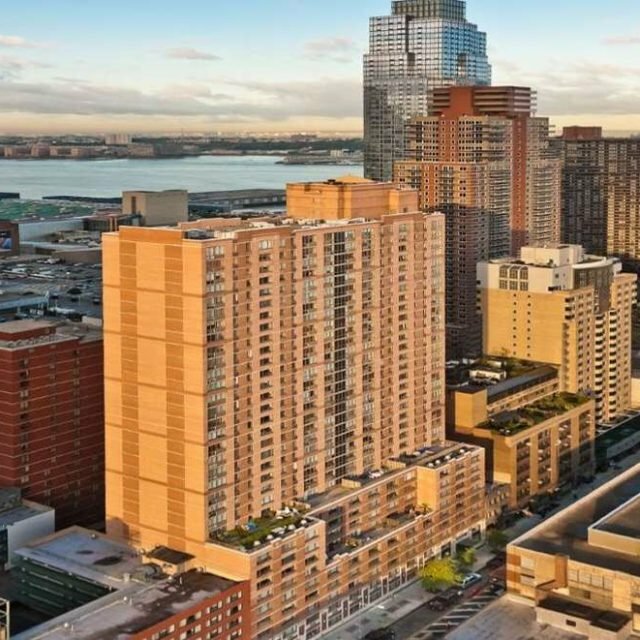 A one-bedroom co-op at The Brevoort at 11 Fifth Avenue. 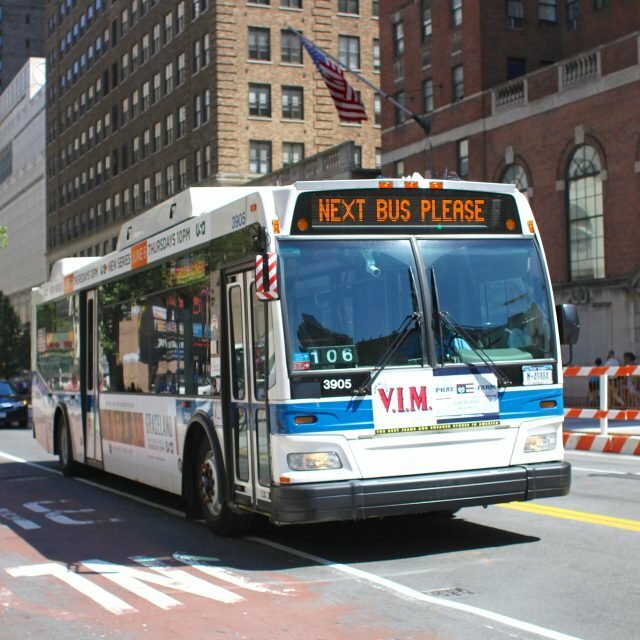 Image courtesy of Douglas Elliman. 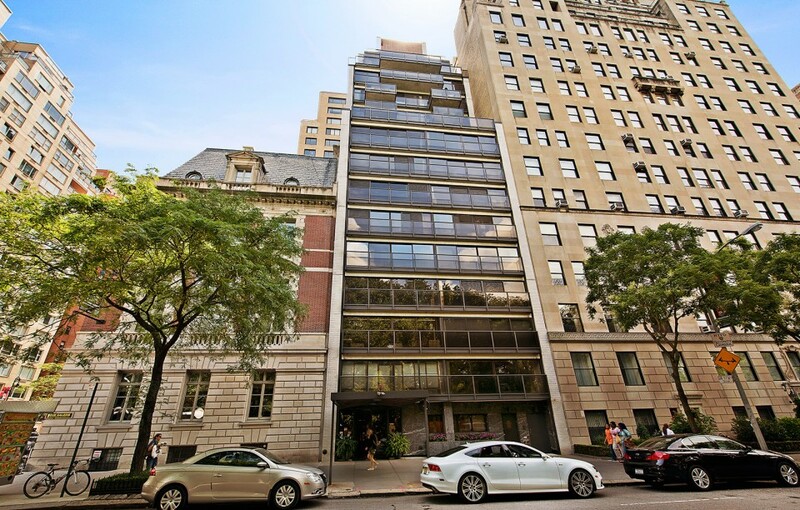 The Brevoort at 11 Fifth Avenue is another jet-age classic. On a high floor with sweeping, open views and a terrace off the open living room, you can channel the hip late sixties vibe in a recently-listed spacious one bedroom co-op. 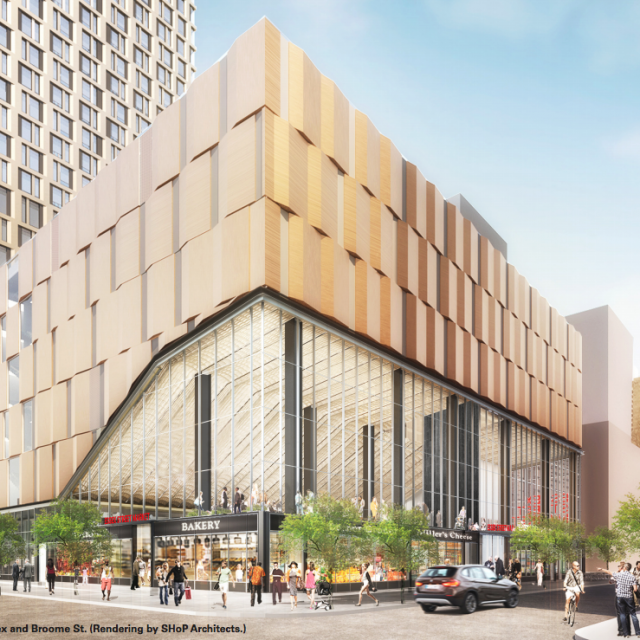 The building offers a full-time doorman, concierge, on-site garage and a coveted address. 225 East 74th Street, #6F. Image courtesy of Corcoran. This 950-square-foot Uptown co-op at 225 East 74th Street rocks a sunken living room, wood paneling, city views and open custom kitchen with modern flair. 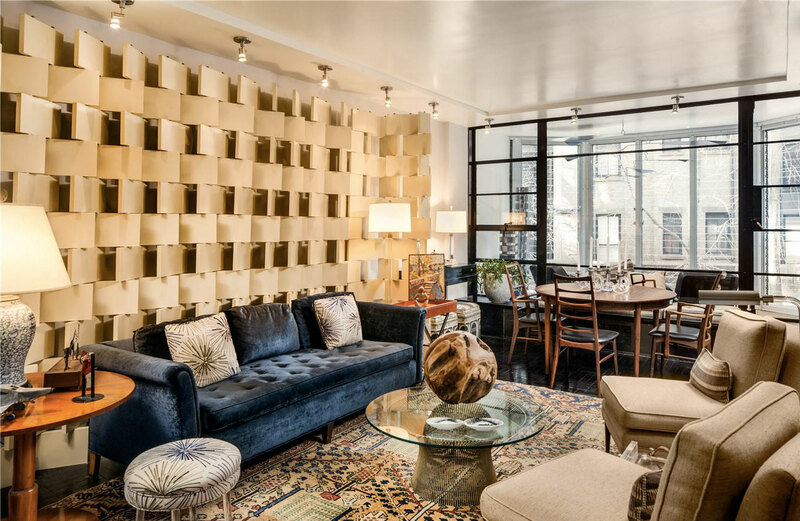 The full-service Upper East Side building offers a full-time doorman, landscaped courtyard, central laundry room, bike room, and storage–all for under $1 million. The Eichler home is true to form, and strong design. The rest of these houses have been badly renovated. 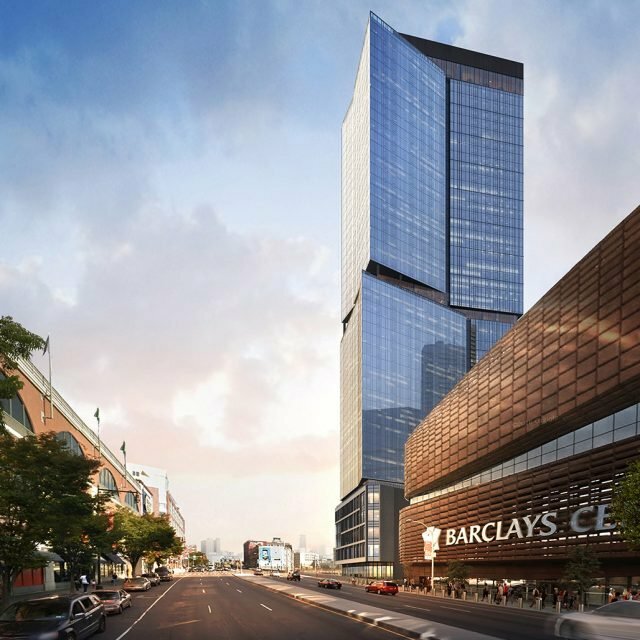 How does the Brooklyn house fit in at all? What a mishmash. 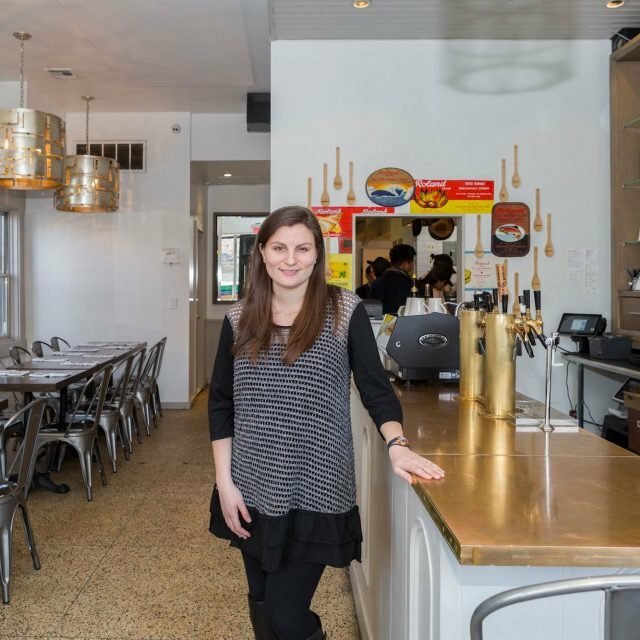 Mid Century has much more to offer than this article admits to.